South Dakota’s highest court has been asked to reject hospitals’ attempts to keep secret why a doctor, who also is a convicted burglar with a checkered medical past that could have easily been uncovered, passed a peer review that permitted him to perform brutal, excruciating, and unnecessary spinal surgeries on dozens of patients. A lower court rejected the sweeping claims by the hospitals that the reviews can never be disclosed. The judge said that indications of crimes or fraud, as raised by evidence-based malpractice lawsuits, are sufficient reason to breach confidentiality protections shielding vital insights into how hospitals judge physician performance and permit doctors to practice in their institutions. More than 30 patients have sued surgeon Allen Sossan. He is a convicted felon, who had changed his name, and who apparently has fled to Iran. Patients assert he caused them great pain and maimed them with unnecessary, complex back procedures. Further, patients have sued more than a dozen doctors who reviewed his credentials and granted him privileges at Avera Sacred Heart and Lewis & Clark Specialty Hospital, both in Yankton, S.D. One of his Yankton patients was subjected to a dozen, complex, extensive surgeries, opening her body from the front and back, and leading to spinal infections. She died “in agony” in a nursing home a year later, a successful lawsuit and news reports show. The hospitals … held Sossan out to the public as one of the finest surgeons in the country, even though internally they had discussions about his unnecessary surgeries, his extensive complication rate, and other problems that would typically require suspension or termination. 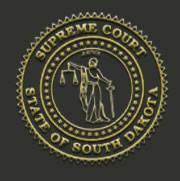 The South Dakota Supreme Court expressed reluctance to create a crime-fraud exception to hospitals’ peer-reviews, saying that, as the institutions’ lawyers suggested, would be an action state lawmakers should take up. Patients’ advocates pointed out that the court has created such exemptions before, and the whole hospital review process, if it is to fulfill its legal mandate, must protect the public and especially patients. This cannot occur if crimes and frauds can be hidden. Further, judges can review documents in private to determine their legal pertinence and prevent disclosure of information that must stay confidential. I hope the high court in South Dakota casts some disinfecting sunlight on what appears to be odious goings-on. I’ve written before about the travails patients confront in trying to find good doctors, especially in determining whether they may be just plain bad practitioners. In my representation of patients who have been harmed by physicians and by bad conduct by hospitals, I continue to be aghast that physicians themselves, and especially state licensing boards, keep failing to identify and oust downright dangerous doctors. Although a national data bank exists to record adverse issues affecting physicians, it may need toughening and we may need a national credentials registry so bad doctors can’t hopscotch around the country after their licenses are suspended in one state. Another South Dakota surgeon just admitted publicly that he lied in court to protect a colleague, and he said fibbing in legal proceedings is common. The Yankton suits are still proceeding but already they provide a sad, scandalous rejoinder to those who complain about medical malpractice lawsuits. Such cases provide patients not only the financial compensation and support they need, they also can offer deserved justice.